Chain Print Skater Wrap Dress is rated 5.0 out of 5 by 1. Update your wardrobe with this stunning stretch jersey skater dress. 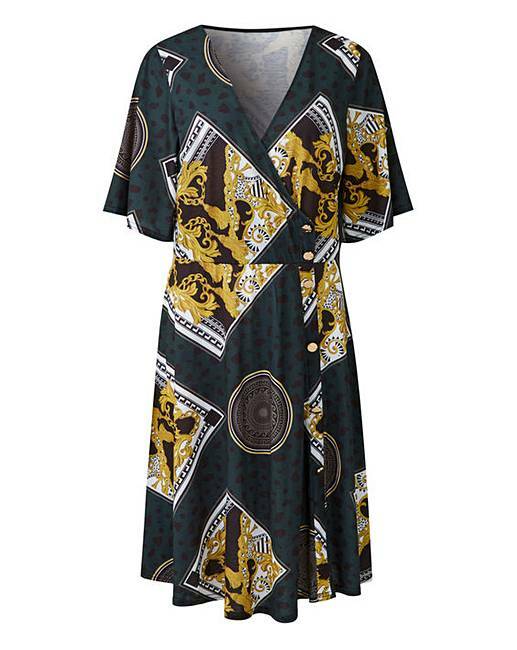 This easy-to-wear mock wrap dress is adorned in a striking chain print, and features gold coloured button detail and short sleeves. Wear with heeled ankle boots and a biker jacket. Rated 5 out of 5 by Susan from Gorgeous! Great dress, lovely material, fit and style! So flattering, not clingy either. Cannot wait to wear it for my new job. Can see it being my new ‘old reliable‘ very soon.